So I was asked last week by my boss if I could start teaching ukelele lessons and in a similar vain to how I ended up playing bass I just agreed to take on a few pupils. That meant I actually had to learn how to properly play uke. 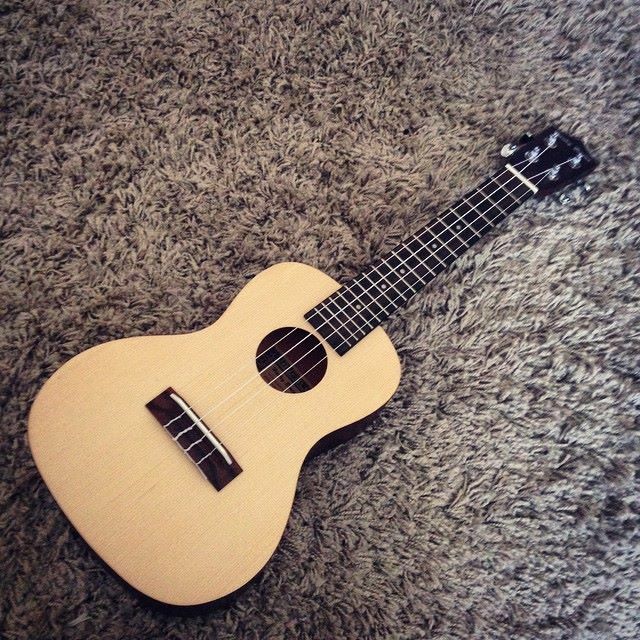 Wanting to do this on the cheap I just bought the cheapest concert size Ukelele I could find with a solid top. Soo I've ended up with a surprisingly nice Harley Benton model for a mere �56 including a gigbag, spare strings and postage! Thought this'd be more your thing. I hadn't realised it was a thing either and to be honest, I'm still not sure it is. Might be a joke. I love the art deco headstock on it. Looks like it's no joke. The price is pretty serious. finish in natural color and pickup.